VOX Network Solutions is a proud Oracle Communications partner. 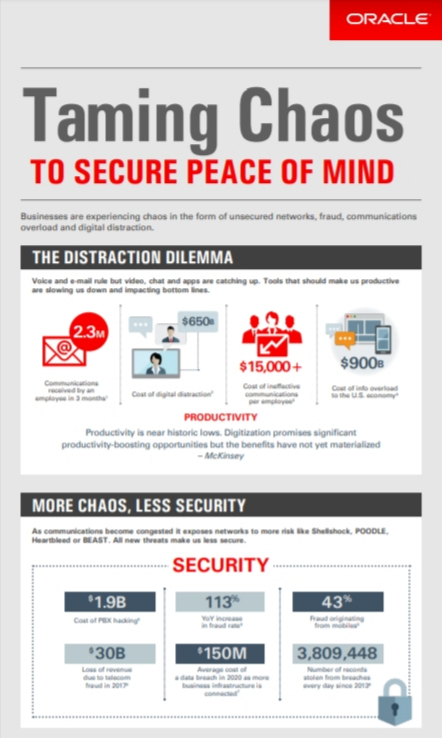 Together we can help tame the chaos and ensure peace of mind within your commication infrastructure. By securing your UC infrastructure, reducing communcations overload and digital distraction Oracle brings a S.A.F.E Architecture. We focus on Security to address the critical needs of real time communications, Analytics that offer a natural progression into machine learning and AI, Flexibility to deploy application on an as-needed basis, and Extensibility to provide open platforms, cutting-edge computing and network, server and storage functionality. Together, with this unique approach, VOX and Oracle Communications deliver unparalleled performance, capacity, high availability, and manageability. Oracle believes businesses can optimize the performance and availability of cloud-based applications and services by adding intelligence and automation to the edge of the enterprise network. By intelligently managing traffic at the perimeter of the network— close to users and devices— enterprises can ensure secure, fast and reliable connectivity to any mix of private and public clouds. A solution that is secure, provides analytics, flexibility and extensibility can address chaos and tame it. This is Oracle’s S.A.F.E architecture. The ESBC provides strong security, high availability, and interoperability for enterprise VoIP and unified communications (UC) networks. Organizations worldwide use it to deliver the highest service levels to customers. The Oracle Talari SD-WAN solution creates a smart and responsive network, one that adapts in real time to bandwidth demand and actual network conditions, ensuring that presently and regardless of network issues, critical applications have priority and all applications take the best quality path through the network, ensuring uptime so business can get done. 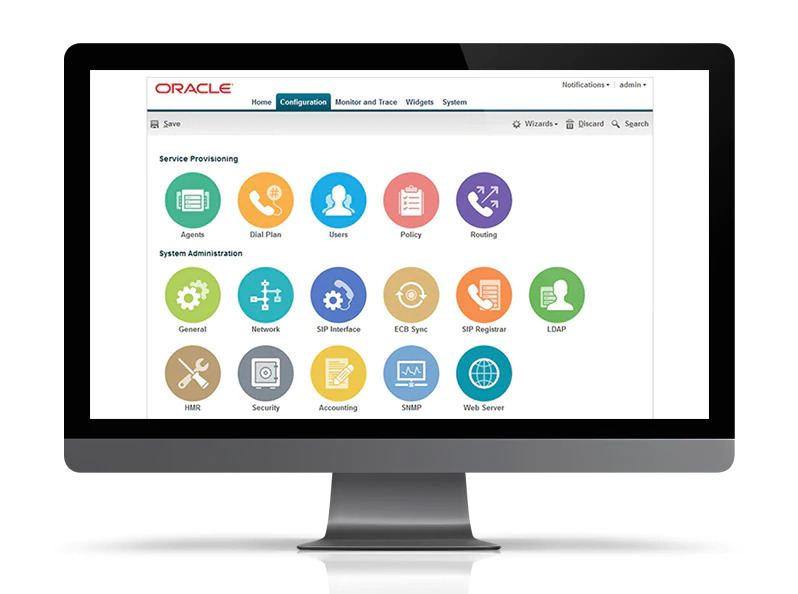 Dramatically reduce Mean-Time-To-Repair with Oracle EOM. Unique, end-to-end session correlation and real-time analysis capabilities enable IT teams to rapidly detect, isolate, and resolve problems anywhere in multivendor VoIP and UC networks.